Rarely do chicken rice stores do well in all criteria. There will be more posts coming up which will cover more chicken rice stores and you be the judge! 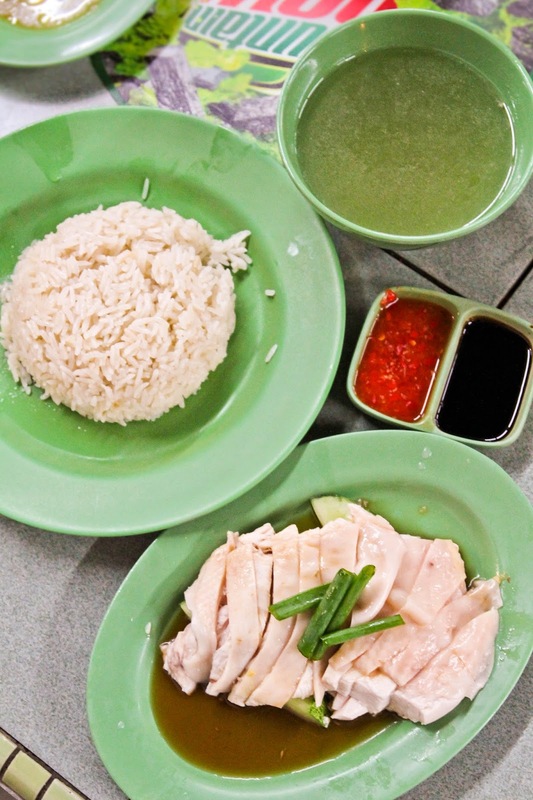 Ming Kee Chicken Rice - Porridge store serves one of the best poached chicken for chicken rice in Singapore. The way the chicken is served is different. 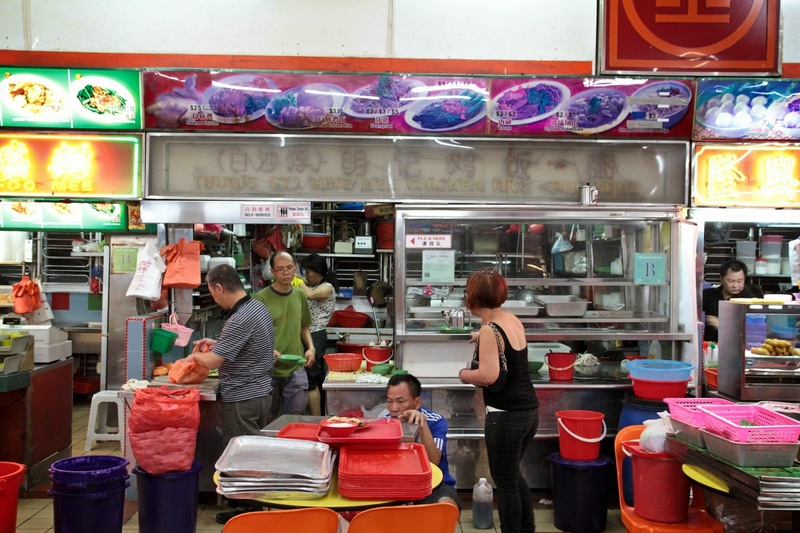 Unlike many shops, where rows of pump poached chickens are hanging on display in the shop windows, Ming Kee cuts and soaks their chicken in icy cold water till they are ready to be served. This produces smooth gelatine under the springy skin! Take note that there are people who are not used to cold chicken served to them. If you prefer warm chicken, you will have to order roast chicken somewhere else as Ming Kee does not serve roast chicken. You will have to queue up to 40 minutes during peak hours for you meal. Your experience would be better if you come during the odds hours (2-5pm) or close to closing time. The latter would have run out of many parts. It's basically self-service, from helping yourself with the tray, the sauce and the cutleries. The chicken is mildly flavoured with sesame oil, garnished with cucumber slices and fresh scallions, accompanied by a bowl salted vegetables soup. The chicken is tender with a gelatinous skin. The store is generous with the meat. MUST TRY. However, the rice may be a little hard at times. The condiments may upset those who want a fiery meal. The chilli is diluted and there is no minced ginger. Unlike the other chicken rice stalls, the soup served is salted vegetable soup. Definitely a positive change but maybe bland in the beginning of the day. Take a closer look at the chicken. Something worth mentioning is the plastic fork and spoon used. It's great for children to have their meals thou it may still be unsuitable during peak hours due to the long wait before your chicken rice. Look at that piece of chicken. Unfortunately, I did not take a picture when they were still open. Will update this blog post when revisit the store again! It is located directly opposite the Bishan Community Centre, 5 minutes away from Bishan MRT station. Gelatine is from the Latin word "gelatus" which means stiff or frozen. It is translucent, colourless, brittle (when dry). It is heat-sensitive and obtained by hydrolysis of collagen. The science is similar to duck confit but the method used to attain gelatin is different. Gelatin liquefies at a temperature of 35°C and melts in your mouth, a much appreciate property during tasting. In order to solidify most of the Gelatin, we will have to quickly chill the chicken in ice to attain that jelly under the skin. Chef David Yip, author of the blog Gastronauntdiary, explains the difference between Cantonese and Hainanese chicken rice. 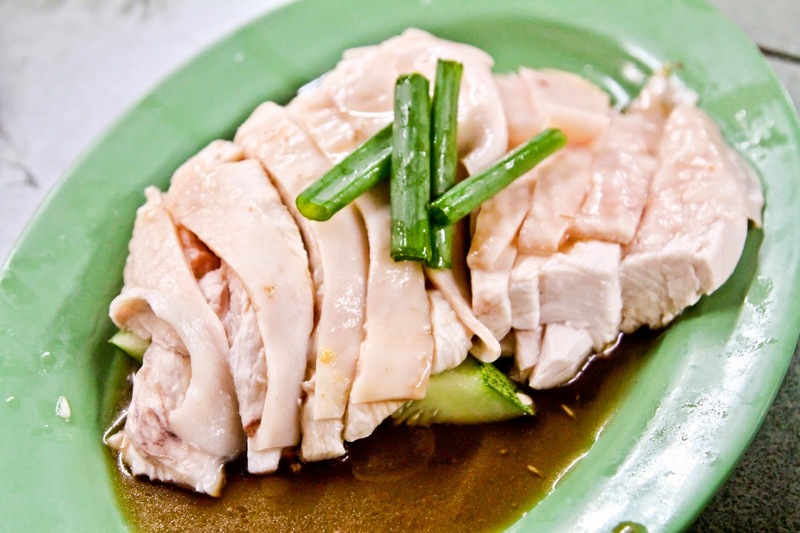 Hainanese chicken rice does not have gelatine under the chicken skin because the chicken is cooked in room temperature water. 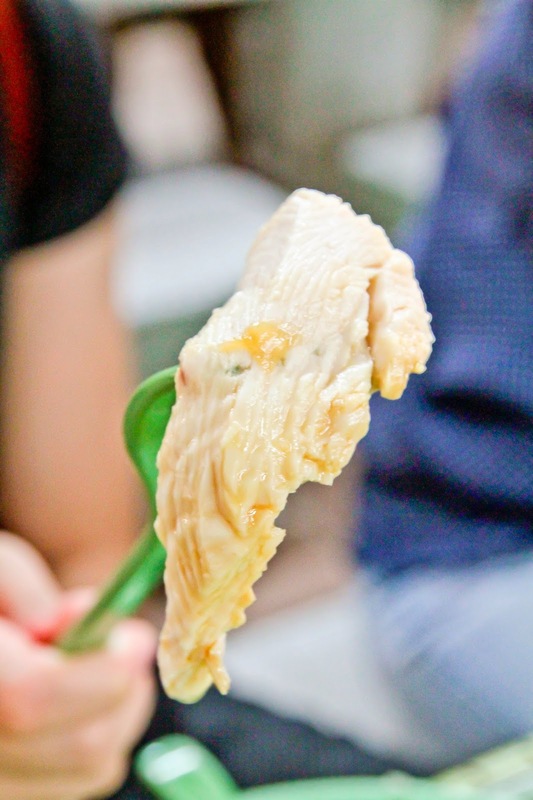 The way Cantonese prepare their chicken rice is by dunking it in Icy Cold water to stop the cooking. In conclusion, the jelly under the chicken skin is Gelatin which is only present in Cantonese Chicken Rice. - You maybe disappointed with the condiments and rice. 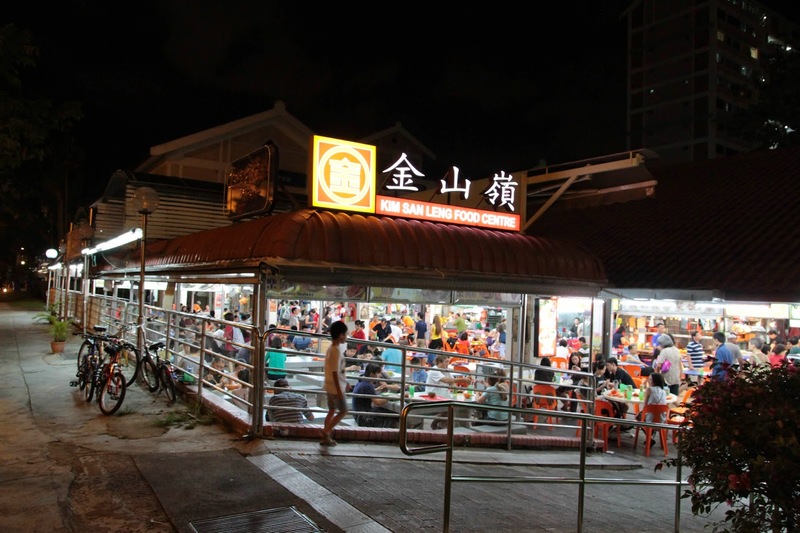 - Ming Kee Chicken Rice is all about the texture of the chicken. The skin is luscious, the flesh is tender and juicy. The servings are generous too! - Go during odds hours to avoid the long queues.